Vasyl Hrytsak says the security services did a great job. The officers of the Security Service of Ukraine (SBU) have carried out an operation to prevent a series of terror attacks in France, which were planned for the time of the 2016 European football championships, SBU chief Vasyl Hrytsak has said. 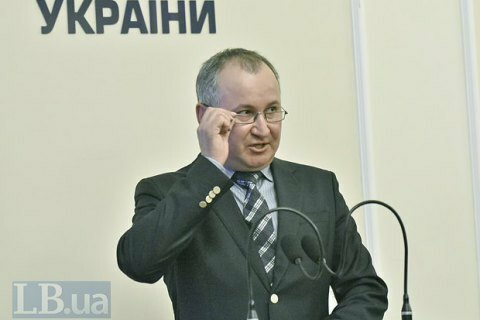 "The SBU has succeeded in preventing a series of 15 terror attacks, which were planned for the Euro 2016 in France, which will open 10 June," Hrytsak said at a briefing in Kyiv on 6 June, as quoted by Interfax-Ukraine. He said the security services did a great job. "In December 2015, we found out that a French citizen arrived in Ukraine posing as a volunteer. He began establishing contacts with representatives of military units in the east of our country," Hrytsak said. The SBU chief said the Frenchman promised volunteer assistance, bringing equipment and other things to Ukraine. However, he then began to take interest in the possibility of buying weapons, explosives and other means of destruction in Ukraine, Hrytsak said. According to investigators, the Frenchman acquired five Kalashnikov rifles, more than 5,000 cartridges, two hand-held anti-tank grenade launchers and 18 shells for them, 125 kg of TNT, 100 detonators and 20 balaclavas. "I think there is no need to explain what destruction could be caused by 125 kg of explosives," Hrytsak said. The SBU chief said agents had worked on this case for six months, and investigators had documented every step of the detainee. Hrytsak said the French citizen was detained at the Yahodyn checkpoint on the border with Poland on 21 May. French media reported earlier that a French citizen, who could have been planning attacks in the run-up to Euro 2016, was detained on the Ukrainian-Polish border with an arsenal of weapons and explosives. According to media reports, the man was detained on 21 May.